ATTENTION PARENTS: The Clinton County Health Dept. has added immunization clinic dates in Cameron this summer on June 13 and 25; July 9, 11, and 23; and August 8 and 13. If your child is in need of immunizations prior to the start of the new school year, please give them a call at 816-539-2144 to make an appointment. We are excited to see everyone tomorrow at "Parkview Family Reading Day"! 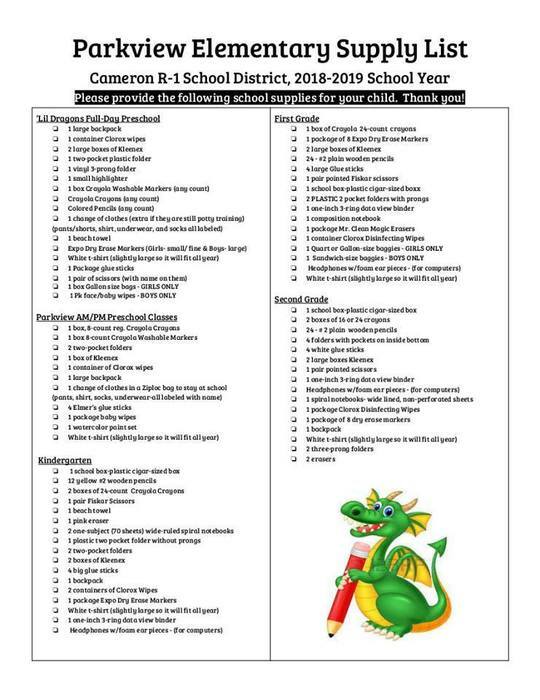 Reading Times: Kindergarten: 8-8:45 am AM PreK & Lil’ Dragons Prek: 8:30-9:15 am 1st Grade: 9-9:45 am 2nd Grade: 10-10:45 am PM PreK: 12-12:45 am *One guest per student please. 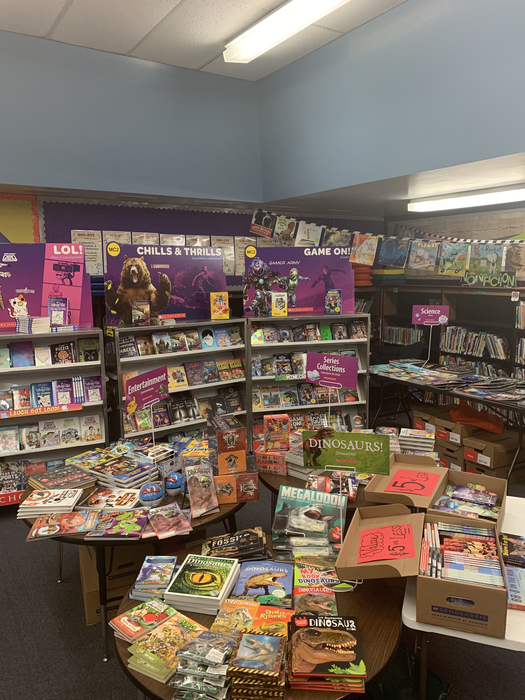 Volunteers will be available to read in the classroom with students who do not have a family member or family friend able to attend. We look forward to seeing you! The last day of tutoring at Parkview will be Thursday, March 28th. Thank you for supporting our efforts to meet the needs of your child! Parent-Teacher Conferences will be held on Thursday, March 14, from 12:30-8:30 pm. We will dismiss at Parkview at the following times: Early Buses - 12:05 pm Car Riders - 12:10 pm Bus Riders - 12:15 pm Please don't forget that we do NOT have school on Friday, March 15. But we DO have school on Monday, March 18, and it's also our rescheduled picture day. Please call the office if you have any questions, (816) 882-1051. We look forward to seeing you at conferences! Calendar Update: Parkview's Preschool Family Game Night is rescheduled for March 26th, from 5:30-6:30 pm. Can't wait to see you! School will now be in session on Monday, March 18th. This will be our rescheduled picture day for Parkview as well. 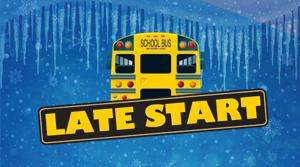 PARKVIEW EARLY DISMISSAL 2/15/19: Early buses - 12:05 pm Car Riders - 12:10 pm Regular Buses - 12:15 pm Early Childhood Screening appointments scheduled for after 11 am today will be rescheduled. Two-hour Late Start at Parkview on Thursday, January 31st: * Buses will be running two hours late. Parkview’s start time will be 9:45 am. * You CAN drop off your child after 7:30 am if needed. Students will go straight to cafeteria and will be released to classrooms at 8 am. * Breakfast will be served until 9:45 am. * No AM Preschool Classes for Miller, Virts, & Morgan. All PM Preschool will be in session. * Full-Day Preschool (Reno & Lind) will be in session with drop off available at 7:30 am. 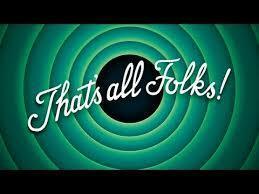 Thank you once again for your cooperation and understanding. We are excited for the warm weather in the forecast! Parkview Early Dismissal Info. 1/18/19: Parkview will dismiss at the following times: Early Bus: 12:30 Car Riders: 12:40 Bus Riders: 12:45 Have a great three-day weekend! (No school on Monday, 1/21/19. 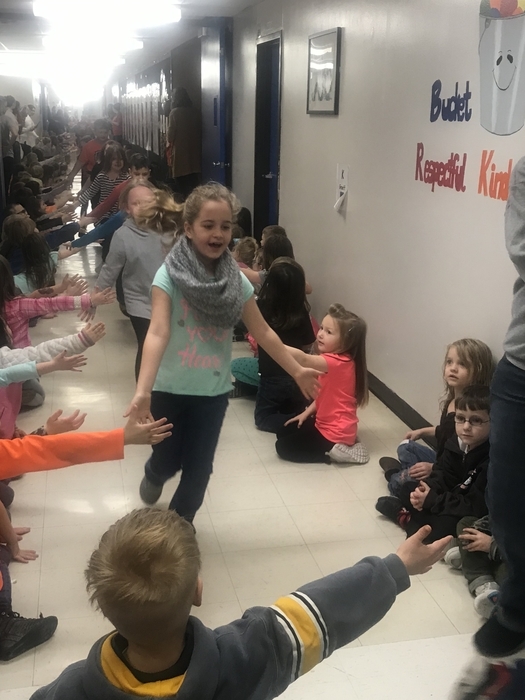 Parkview celebrated students who reached their AR and sight word goals today!! Love those sweet smiles! 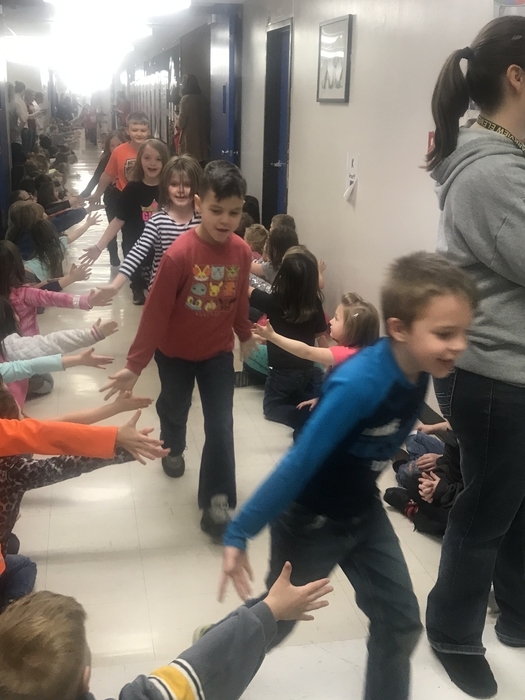 Great job, kids!! 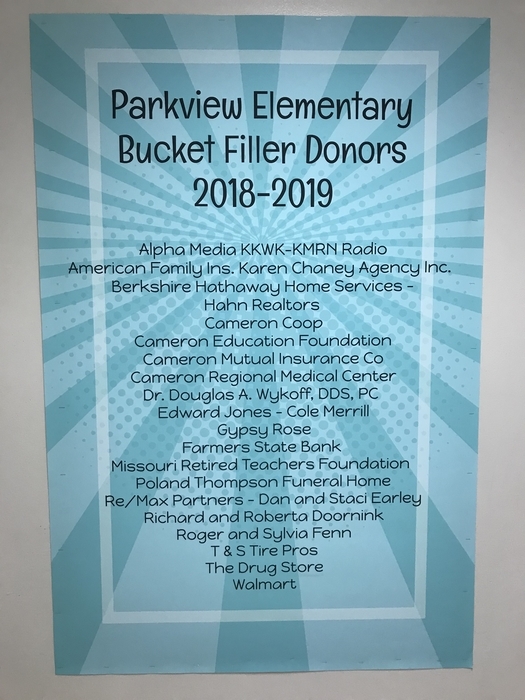 Parkview’s Bucket Filler Program wouldn’t be possible without the generosity of our sponsors!! Thank you to these businesses and individuals who are assisting us in providing opportunities to promote citizenship, ethics, and the importance of positive character. 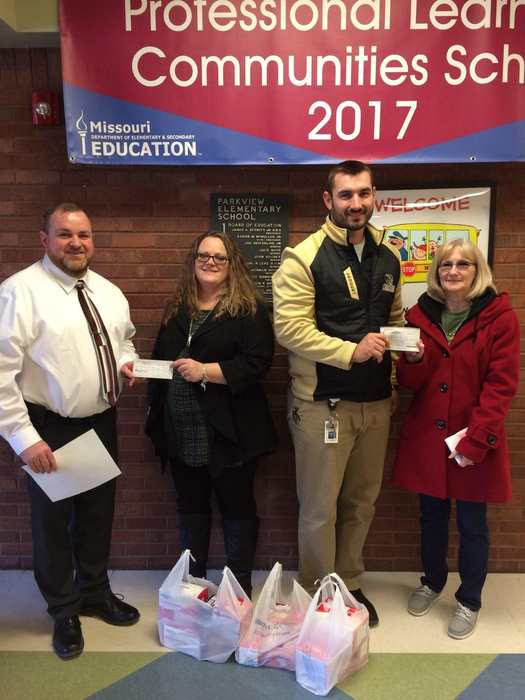 A HUGE thank you goes out to the staff at Western Missouri Correctional Center and Crossroads Correctional Center for their monetary donation to Parkview Elementary yesterday. Collectively, the staff donated $417.31 to help us purchase supplies for classroom emergency kits. Pictured here with Parkview Principals Angie Ormsby and Derek Lannigan are Chris Brewer, Deputy Warden at WMCC, and Ronda J. Pash, Warden at CRCC. 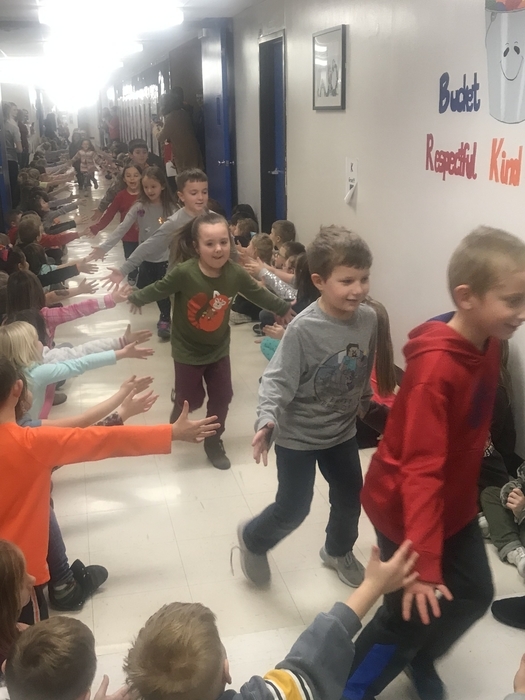 First Grade’s Snowman Night is tonight, 12/17/18, from 6-7 pm in the Parkview Cafeteria. Hope to see you there! !